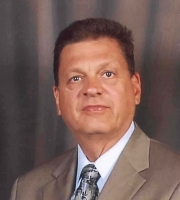 Steven J. Luzik, PE, CFEI is a Senior Process Safety Specialist at DEKRA Process Safety. with over 30 years experience in the area of fire and explosion hazards including gas/vapor explosions, dust explosions and fire and explosion protection strategies. He graduated from the University of Notre Dame with a BS degree in Chemical Engineering. He is a registered Professional Engineer in the State of Pennsylvania and a Certified Fire and Explosion Investigator (CFEI) with the National Association of Fire Investigators (NAFI). As a former Mine Safety and Health Administration [MSHA] manager and technical specialist, he has investigated a multitude of incidents involving flammable vapors, gases and dusts that have included surface and underground mining facilities and industrial facilities where fires and explosions have occurred. He has conducted dust explosion hazard assessment at several coal-fired power plants. He also has served as a moderator of a flammability and dust explosibility laboratory, processing requests from MSHA and other Federal agencies for testing to determine the flammability and explosibility properties of solids, liquids, dusts and vapors. In this capacity, he has been called upon to provide expert testimony on the explosibility hazards associated with the manufacturing, processing and handling of these materials. He is a member of the American Society for testing and Materials (ASTM) E-27 Committee on Hazardous Properties of Chemicals, the National Association of Fire Investigators (NAFI) and the National fire Protection Association (NFPA). He has authored numerous publications in the areas of fire and explosion prevention, protection and investigation.